The very first post I had about this journey was about my #shiplap. That beautiful shiplap. Little did I know, I was in for a journey of way more than putting shiplap on the walls of our kitchen. Friends, we did not plan for everything we’ve done. I mean I had a general idea of what I wanted to do, but nothing set in stone. We’ve come SO far. Yet, we have so much left to do. We are on our LAST cabinet build for the kitchen. I’m so in love with this cabinet and it’s not even finished. I’ll save the details for different post, but just know that this cabinet is over halfway done. It needs doors and to be re-painted and then finished with poly. I can’t wait to see the finished product. It’s almost like it was made to fit in that space. (Oh wait, it was!) It complements the wall so well. I love it. And finally, the last thing we have to do...TRIM! The windows and doors need to be trimmed out, and of course the floor boards. Oh, and we have a silly soffit, so that needs trim too. SO MUCH TRIM. Want my best advice? Don’t ever replace trim yourself. It’s way too much work. Now, the rest of the house..
We are slowly but surely installing new trim everywhere. I’m really starting to dislike that word. Trim. I plan to share a complete how-to with the trim install. Stay tuned for that. 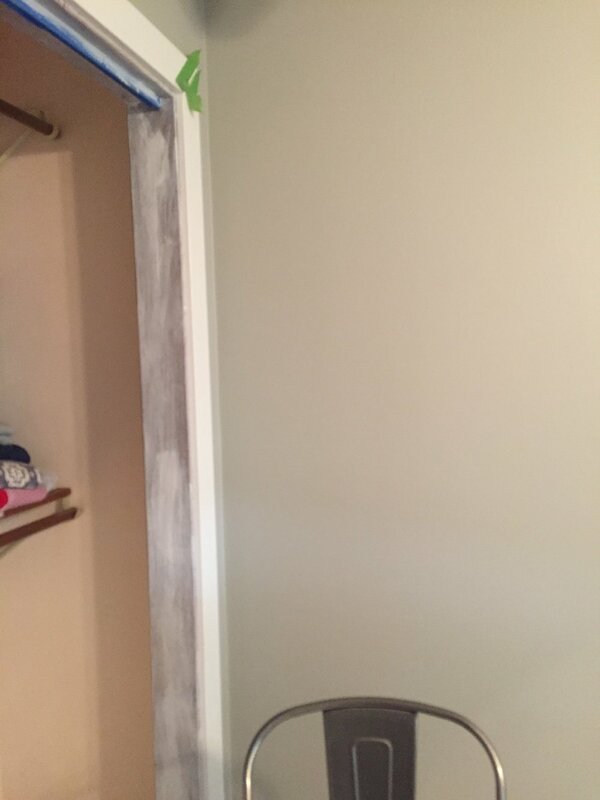 I’m painting ALL of the door frames because we are replacing the doors. The closet doors are being re-finished as well. AND finally, we are switching some things around in our house. If you saw my post from last week about the chandeliers, we moved the dining room into a different space, and made ourselves a nice little cozy room with the fireplace. More details on all of that coming later. But as you can see by this photo, we still don’t even have the outlets changed out and covers put on. Blah. Until next time, follow me on Instagram (greywoodmama) for behind the scenes stories and photos of our projects and progress. Newer PostA new look for greywoodmama!